Since its initial publication a decade ago, Modernizing the Mountaineer has become a classic in Appalachian studies. Now available with a substantial new introduction, the book is a passionate and provocative critique of the enterprises and organizations that have sought to develop the region. 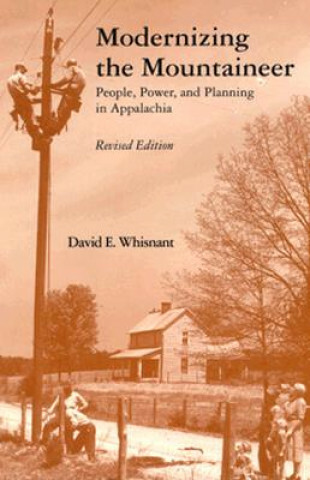 David Whisnant focuses upon public and private social and economic development efforts in Appalachia from the close of the nineteenth century through the early 1970s. He explores their diverse origins, their many ways of assessing and relating to the problems and people of the region, and above all the cultural politics that shaped them. Modernizing the Mountaineer blends careful analysis with an ardent commitment to making the needs of the region's people the preeminent consideration in the design of social policy. In his new introduction, Whisnant chronicles the book's controversial history, discusses the factors that contributed to its perspective, and surveys the advances in Appalachian studies that have occurred since it was first written.